A collaborative effort to imagine sentience on a hypothetical exoplanet. 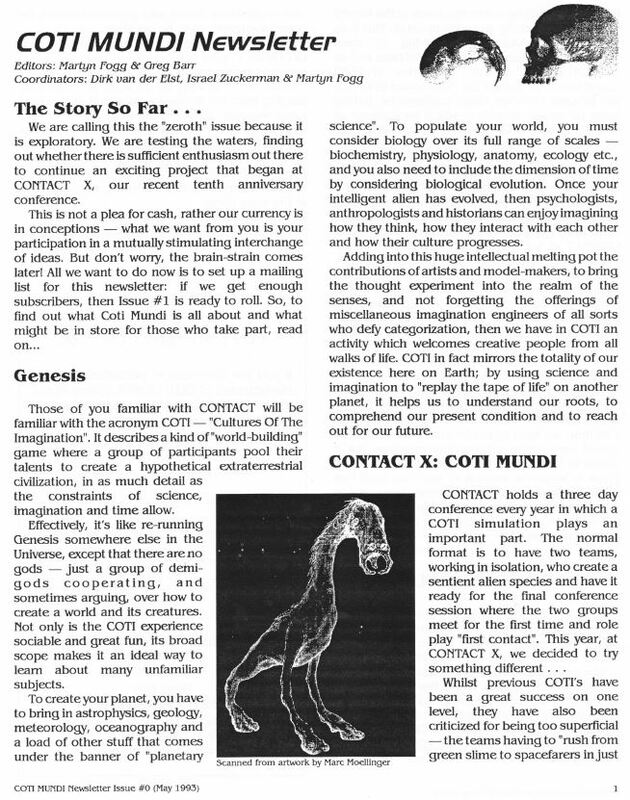 The Epona Project began life as a worldbuilding exercise designed for the CONTACT: Cultures of the Imagination conference in March 1993. 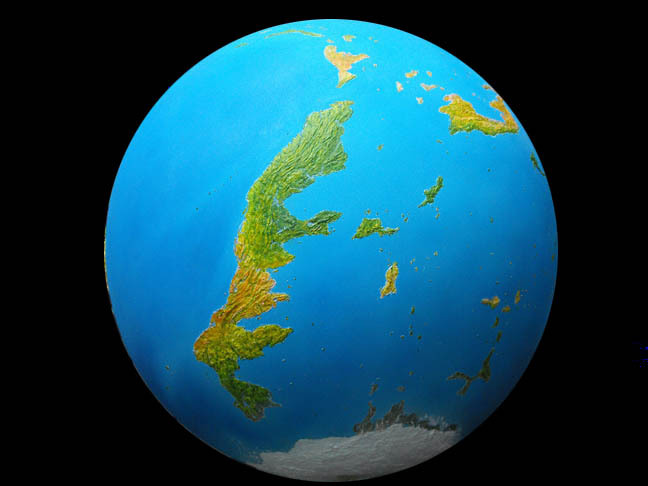 Worldbuilding is an activity primarily developed by science fiction writers to give depth and credibility to their fictional stories. At CONTACT, this activity is compressed into approximately 72 hours of conjecture at the end of which the designers hope to have created a sensible sophont in a believable environment. 82 Eridani is the chosen star and it was named Taranis; a sun nearly 21 light years away from Earth but barely visible in our night skies. It's a single, yellow, G-type star like the Sun, and is about 91% the mass. Since the luminosity of stars is very sensitive to mass, Taranis is only a little over half as bright as the Sun and burns its fuel more slowly. It's quite an old star _ at 5 billion years being half the age of the galaxy _ yet it is just over a third the way through its stable, main sequence, lifetime. Taranis itself may have plenty of life left; however, 5 billion years is a long time in terms of planetary evolution, especially if the planet in question is small. If senescence hasn't already paralyzed such worlds, then it's just around the corner. Epona was created over long distances in the early days of email communication and document transmission over the Internet. Although many participants did not have connections and documents were also sent using the US Postal Service. The design effort was made by circulating a newsletter to a select list of participants as well as attendees at an annual conference called "Contact: Cultures of the Imagination" usually held in Northern California. The invitations were made and the stage set in two early newsletters in 1992. Imagine that you have just landed on a planet twenty-one light years from Earth. You are about to enter a lush world where things are more than just a little different! Evolution has taken exotic paths and a whole new kingdom of life reigns over land, sea and air! You are the leader of a first contact mission on the planet named Epona. The mission you have organized has journeyed here in an interstellar craft that orbits Epona. Your hand-picked crew must provide all the information you will need about Epona from the 21st Century technology available to you. Your objective is to unlock the secret of Epona's remarkable life-forms and discover if there is intelligent life you can communicate with. Will you succeed in unraveling the mysteries created by a team of more than 30 worldbuilding specialists from three different countries? For more than three years, Epona has been forged from the stellar fires of the main sequence star 82 Eridani. 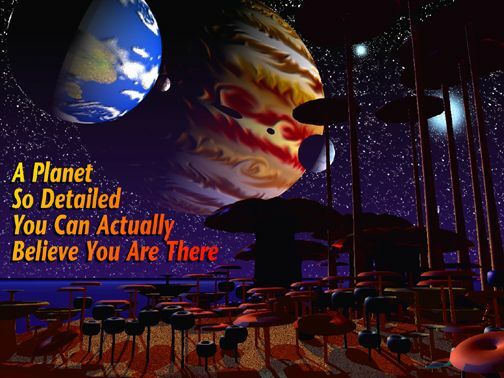 Using a sophisticated computer program (Martyn J. Fogg's Silicon Creation) that calculates possibilities, a complete planetary system was created for the sun now named Taranis. 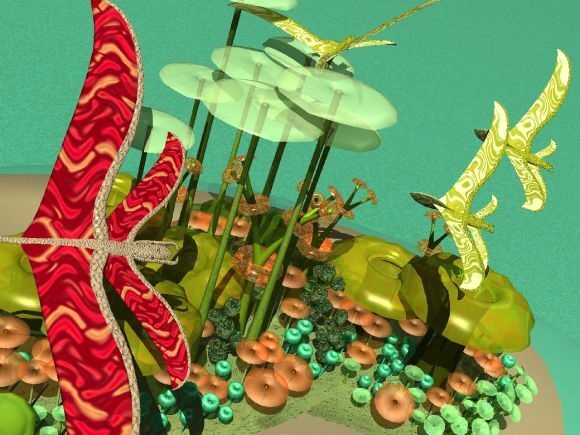 That was the idea behind a game for a detailed simulation of evolving life on another planet. While that game has never been developed, the ideas behind it continue to retain all their innovative vibrancy. Over time more details of Epona and how it was conceived will be added to this web site. As this is a labor of love, there is no timetable for development.